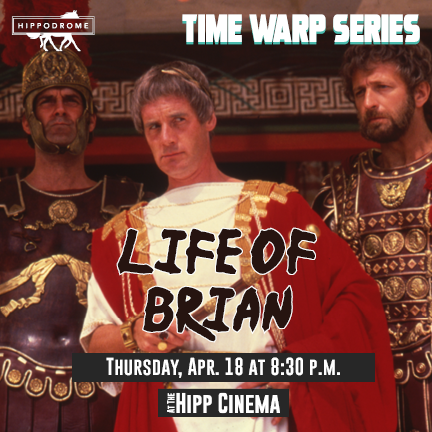 The Hippodrome was founded in 1972 by six artists (Bruce Cornwell, Gregory Hausch, Mary Hausch, Kerry McKinney, Marilyn Wall and Orin Wechsberg) with the goal of presenting the best in challenging, contemporary theatre. By its official founding date of April 18, 1973, the Hippodrome had acquired a name, established a home in a converted hardware/convenience store and selected a season of plays and theatre classes for children. During its first season, the Hippodrome presented seven mainstage productions and toured two productions for children. The theatre’s quality and support grew over the next two years and in 1975 the Hippodrome moved to a larger space, an empty warehouse that served as the theatre’s home for the next five years. These were exciting years of professional and artistic development for the company as it gained both national prominence and statewide support for its creative and imaginative approach to theatre. In 1979 the Hippodrome moved into Gainesville’s most prominent building, the historic Federal Building, listed on the National Registry of Historic Places and located in the heart of downtown Gainesville. The Hippodrome, with support from the community, the State of Florida and a $150,000 Challenge Grant from the NEA, raised nearly $2 million dollars to restore this magnificent building and convert it into its present facility: a 276 seat, thrust-stage theatre with rehearsal space and a scene shop, an 75-seat cinema, an art gallery, bar, box office and administrative offices. The new theatre opened its doors in early 1980, and in 1981 the Hippodrome was designated a State Theatre of Florida. The theatre enjoys recognition as one of the leading regional theaters in the country, with the primary goal of providing the best season of theater for audiences throughout the state. In maintaining this goal, the Hippodrome has become a major cultural resource to the community and the State of Florida, staging mainstage productions for more than 60,000 people annually. The Hippodrome’s history and vitality are built on its artistic achievement. The theatre has produced more than one hundred world, American and Southeastern premieres in its history. Acclaimed playwrights such as Tennessee Williams, Eric Bentley, Paula Vogel, Lee Breuer, Adrian Mitchell and Mario Vargas Llosa have developed new works on the Hippodrome stage. In addition to its mainstage season, the Hippodrome screens first-run foreign, limited-release and avant-garde films. The Hippodrome Cinema Series has 1,000 members, 20,000 patrons and more than 700 screenings per year. The Hippodrome also houses an art gallery which is available, by invitation, to Florida artists at no charge.